This English based club with an Irish identity needs no introduction so instead justs how where your passion lies in this London Irish 18/19 Hooded Rugby Sweat from X Blades. 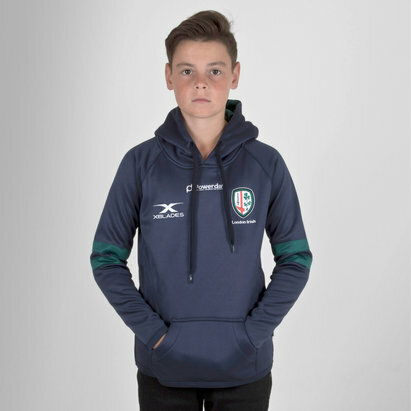 This official hooded rugby sweat of London Irish comes in a new sublimated printed design of navy with green detailing across the front and back. As worn by the Professional Players on a daily basis and features the brand new club badge printed upon the chest to prove to all the doubters where your loyalty lies. 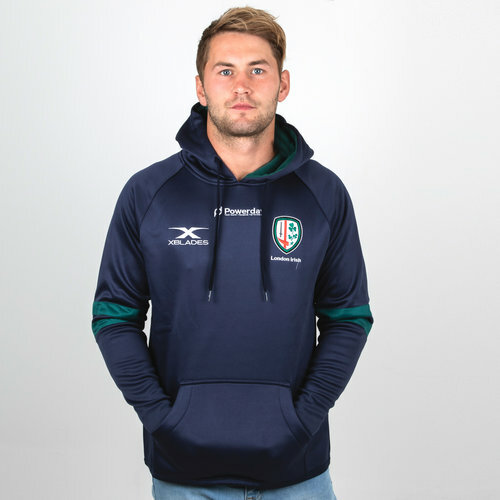 Stay warm when you work out and fine-tune your skills on the practice pitch without ever compromising your support for London Irish with this Gloucester 2018/19 Overhead Hooded Rugby Sweat.